The company provides a one-stop service for purchasing equipment purchasing tableware ,such as Sushi Cutlery,Stylish Sushi Cutlery ect. Japanese Sushi Cutlery sushi sauce dishis Other Supporting Equipment size is about 9 * 4cm ,the color is black and red. Sushi cutlery melamine Sauce Dish is melamine resin powder heating and pressure molding, with its light, beautiful, low temperature resistant, not broken and other properties.Sushi cutlery melamine tableware sushi sauce plate widely used in restaurants, restaurants, fast food restaurants, canteens, tableware safety and health, non-toxic and tasteless, the surface has a smooth, drop-resistant features. Sushi cutlery melamine soy sauce container recommended dishwashing Soak with hand wash cloth, can be directly used dishwasher cleaning, disinfecting with ozone disinfection cabinet; not recommended microwave, oven, high temperature easily make tableware deformation, melamine tableware can withstand temperatures 120 degrees Celsius, more than 120 degrees Celsius softens the tableware, deformation. 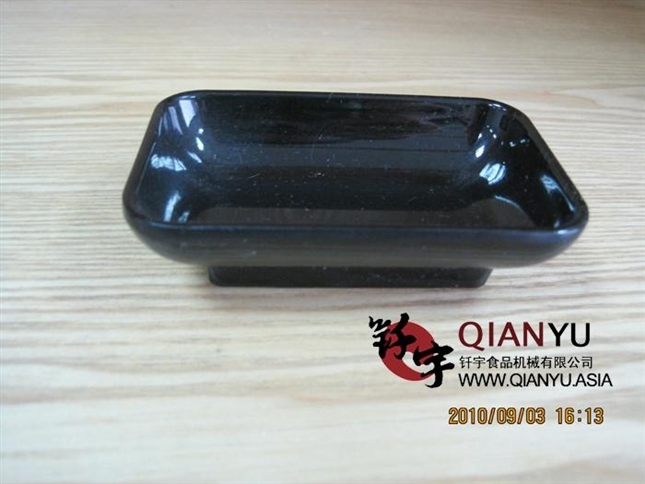 Looking for ideal Soy Sauce Dipping Dish Manufacturer & supplier ? We have a wide selection at great prices to help you get creative. All the Sushi Sauce Dish are quality guaranteed. We are China Origin Factory of Japanese Sauce Dish. If you have any question, please feel free to contact us.